Hardwood floors can be easy to take care of with the use of a hardwood floor cleaner machine. You can use these machines to mop and sometimes even sweep without killing your back because they do all the work for you! So throw away that old-fashioned mop bucket and take a look at the machines we’ve researched in our hardwood floor cleaner buying guide. Before we get started, here’s what you should look for in a hardwood floor cleaning machine. 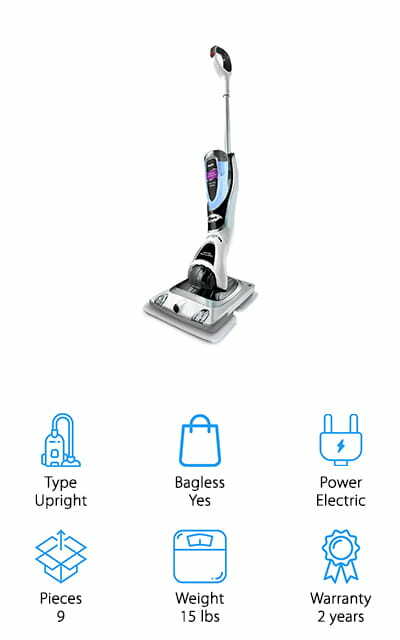 Type: Upright floor machines are big and bulky like traditional vacuum cleaners. Canister vacuums are larger but often have more suction and bigger waste containers. A stick floor machine is a small, lightweight, portable cleaner with a stick-like handle. Bagless: Don’t waste time changing out a dirty bag. With some machines, this is a tedious task. Instead, most floor machines now come with a canister you simply unhook and empty over the trash can without touching the dirt. Power: Cordless floor machines have a dock and rechargeable battery. They can be taken anywhere in your home without the hassle of a cord. Electric cleaners must be plugged into the wall to work but deliver more consistent power. Pieces: Most floor cleaners will come with accessories and attachments for different types of cleaning. The number of pieces tells you how many extra things the machine comes with. This is useful if you need a specific accessory. Weight: You don’t want to have to lug around something heavy and awkward. Lighter machines are easy to transport and use. Cordless cleaners will be lighter than electric ones, though both can be transported to where you need them. Warranty: You want quality assurance on your machine. A warranty means that if the cleaner breaks down due to a manufacturing error, you won’t have to purchase a new one. The company will refund or replace your machine. Now that you know what to look for, we can show you the products! We’ve done all of our homework to bring you our best hardwood floor cleaner machine reviews. These machines will make your life so much easier and get your house very clean! Look at our top pick and budget pick first, to get an idea of what’s on the market. Then check out the rest of the machines on our list. Your perfectly clean floors await! The Shark Sonic Duo is a good cleaner for both hardwood floors and carpets. This system is so incredibly useful for any type of floor, and even people who have a lot of area rugs. It’s an electric system, so you always get the consistent performance that you want no matter which surface you’re cleaning. It comes with all the cleaning solution, polishing cloths, and scrubbers you need! The hardwood floor machine has two scrubbing modes – a more powerful mode for stuck-on dirt and a softer, non-toxic option around your kids and pets. When you’re ready to move onto carpet, use a gentle cycle to remove surface dirt, and then their unique solution to bind deeper debris. When it’s dry, simply vacuum it up for fresh carpets! This Shark hardwood floor cleaner machine boasts 1,000 scrubs per minute! The simple and easy to use design makes it a breeze to get sparkling floors no matter how busy you are. BISSELL has been a trusted name in floor care for years. 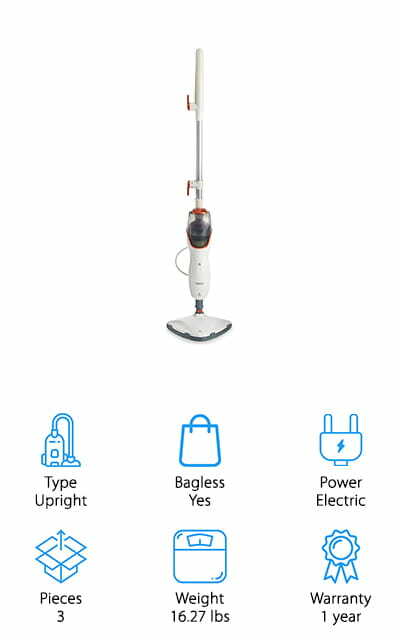 The PowerFresh Steam Mop carries on the company tradition by being a truly magnificent product. This is a steam mop rather than a regular mop, which means that there are no chemicals or detergents used. It’s pure steam power! This particular model is probably the best cheap hardwood floor cleaner we looked at in our reviews. There is a control setting on the water tank that allows you to customize how much steam you use for each mess. It’s the most effective cleaning right at your fingertips. There’s even a scrubber on the mop head that flips down for your tougher messes. This machine is extremely light at only 6 pounds. Even with a cord, it is really portable with a 23 feet of room. The coolest feature? There are fragrance discs you can add to the mop for a variety of pleasant fragrances while you’re mopping. Hoover is another trusted name in floor care, perhaps one of the most popular brands out there. They have delivered again with their FloorMate. This full-sized device is one of the best rated hardwood floor cleaners we looked at. It strongly resembles a full-sized vacuum, but the handle folds down close to the machine for easy storage. It won’t get in your way. There are a few attachments; one of them is a squeegee head to make sure that your floors aren’t wet when you’re finished cleaning. The nozzle and brushes on the head can be removed so they can be cleaned separately and easily. They’re a breeze to put back! It doesn’t get much simpler than this. It has dual tanks, so the clean water stays separate from the dirty water that gets sucked off your floors. Want even more good news? The controls for all of these features are on the handle at your fingertips while you’re cleaning. The Light’n’Easy Steam Mop is just that. It comes in at only 6 pounds, and there are five different modes to make your life a lot less complicated. We loved that this cleaner came in an attractive white and grey color scheme, with purple accents. But more than that, we loved everything this mop can do! 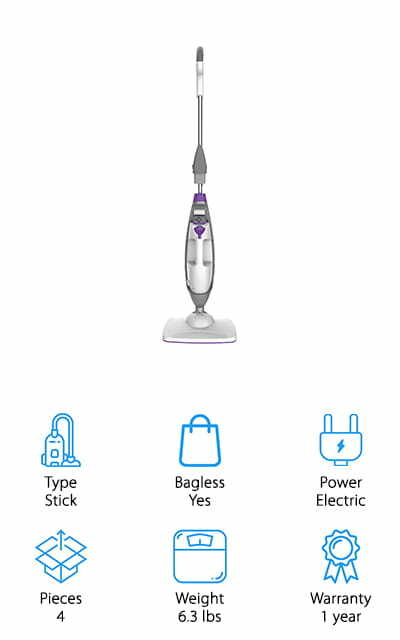 First off, it’s a steam mop, so it doesn’t use any chemicals and there are no pricey cleaners you have to buy to put in it. Just the machine investment will last you a long time. It provides 99% sanitization – the steam freshens and cleans even fabrics and curtains. 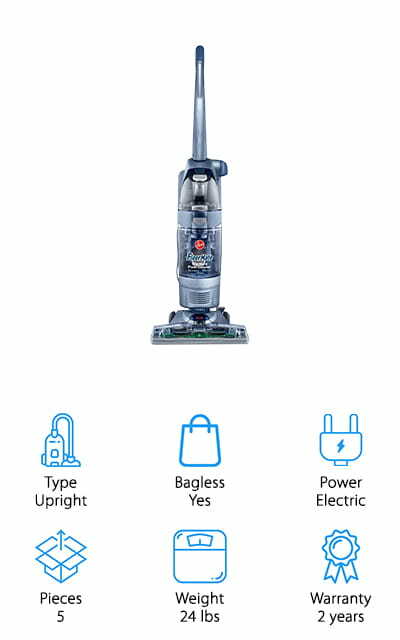 The machine comes with a built-in handheld steam cleaner, a hose, and different heads for carpets and even glass! The handheld part doubles as a garment steamer, as well. But get this! This mop is truly amazing. It comes with a 20-foot cord as well, so you won’t have to change plugs every few moments. It would almost be criminal to exclude this type of machine from our hardwood floor cleaner machine reviews. This type of stick cleaner sprays cleaner out ahead of the mopping head. This is usually done by a trigger in the handle, and typically only in pre-determined amounts. The difference with this Bissell machine is that you can control the amount of detergent that sprays. It’s an on-demand trigger so you completely control the amount you need for the clean you want. Moreover, this machine has a full 28-ounce water tank for more continuous cleaning time without having to stop and refill the bucket every few minutes. It works really well on sealed surfaces, tile, and laminate as well as hardwood. What’s really unique is the design of this machine – the head is two scrubber brushes rotating in different directions to provide the best clean possible. This also makes it maneuverable and easy to get into tight spaces. The SKG cleaning machine is powerful! This mop and carpet device puts out an astounding 1500 watts of power to bring you the best and most sanitary clean. It has a unique color scheme, black with green accents. 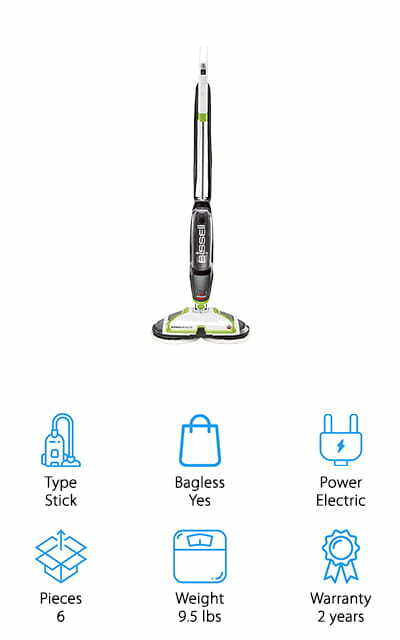 The head may look small, but this device can do every bit of cleaning that needs doing! Speaking of the head, it’s triangular-shaped, which gives it a unique 180-degree swivel feature for a better clean. As with other steam mops, you only need water to use this machine. There are multiple steam settings for whatever you’re tackling, not to mention 6 interchangeable accessories to clean your oven, furniture, bathroom, carpets, and grout. 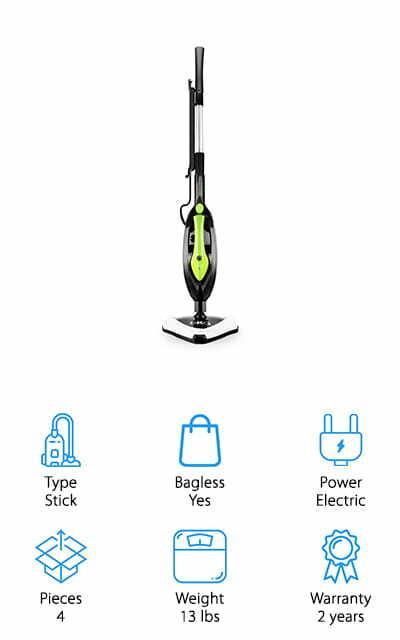 You won’t have to guess when it’s time to refill the water tank because this steam mop beeps while it’s working. When the water is low, it beeps louder! This definitely qualifies as the best hardwood floor cleaner for sale. It does so much more than your floors! 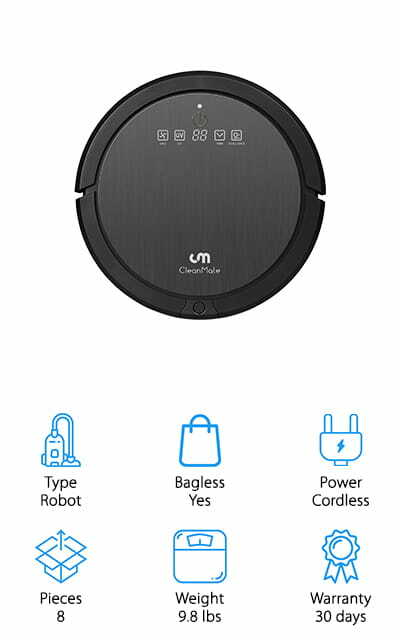 We couldn’t make a hardwood floor cleaner buying guide without including at least one robotic vacuum machine. This is a total break from the traditional cleaning devices, as it is completely automated. You don’t have to lift a finger once setup is complete, and this bot will do all of your floor cleaning for you! With all of these types of vacuums, you have to set up sensors to mark walls and doorways so the machine knows where to stop. There are also indicators on the device that can tell what is dirt and what isn’t, so you won’t have to worry about it sucking up something valuable. The CleanMate is amazing specifically for the ease with which it transitions between carpet and hardwood floors. It doesn’t even stop! A full charge on the dock gives you 80 minutes of continuous cleaning. When the battery drops below 20%, the machine returns to the charging bay until it’s ready to go! Floor Doctor is from the makers of Rug Doctor, one of the greatest carpet cleaner machines on the market. This device is sure to be one of the best hardwood floor cleaner machines we reviewed! 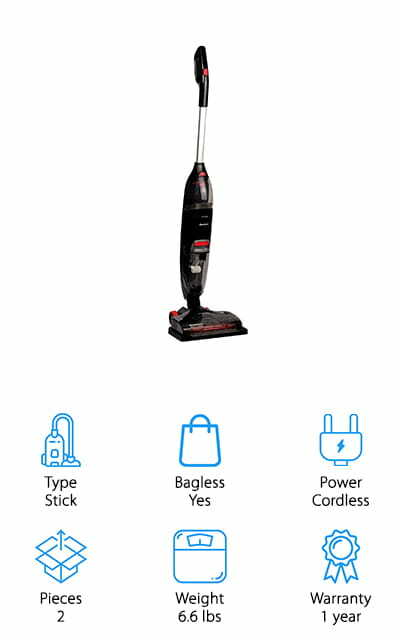 It’s one of the few cordless options on our list, increasing portability for up to 30 minutes of cleaning. It comes with plenty of neat features, including a tray that you can set the machine in. This is included just in case your cleaner still has water in the workings. This way it won’t get your floor wet after use! That’s a really thoughtful accessory to include, and we love it! There are two cleaning modes for whatever level of mess you’re dealing with. There’s a polishing attachment to make your floors really shine! The separate clean and dirty water tanks make your cleanup that much easier. A cool, unique feature of this machine is the wheels, which are rubber to avoid marking your floors! This Eco Cleaner is unique on our list because it is a canister-style machine! A long hose connects the head to the large water tank. It’s on wheels, so it’s not hard to move around! This device is purple, which we loved. 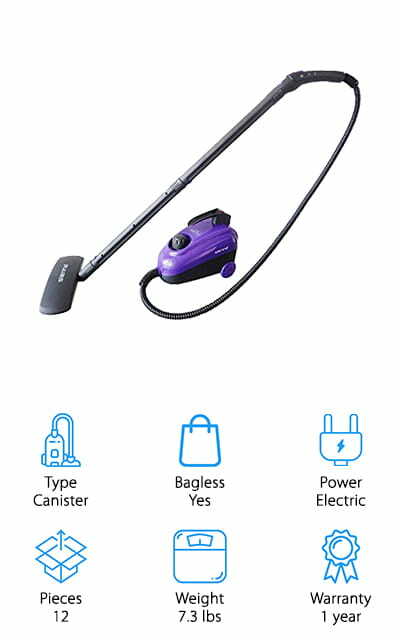 It provides 1350 watts of power for professional-level steam cleaning. With a 40-ounce water tank, you can clean for about 35 minutes before you have to refill! It’s a steam mop, so it only uses tap water. There’s no need to buy detergent or other chemicals. But the best part? This cleaner comes with a ridiculous number of accessories! You’ll get attachments for grills, upholstery, and even windows with the squeegee head! The uses of these heads are endless. You can even clean your toilet with the power of steam. Plus, it’s an amazing way to refresh your fabrics. Use it on your curtains, couches, and cloth chairs. This is the best electric hardwood floor cleaner! Our best hardwood floor cleaner reviews wouldn’t be complete without including this steam mop from VonHaus. This device comes with microfiber, machine-washable pads that are perfect for cleaning tile, laminate, and wood floors. There is also a pad specifically for carpeted surfaces. The head is triangular, which allows you to reach corners and other tough spaces without any fuss. The water tank is a full 18.5 fluid ounces, giving you plenty of time to work before refilling. The power cord is 16 feet long, allowing room to work without the hassle of changing plugs. This mop puts out 1200 watts of powerful cleaning, and the steam is pressurized and incredibly warm. So warm, in fact, that it is said to kill 99% of bacteria in your household. All of this, and at such an affordable price it’ll make you look twice. 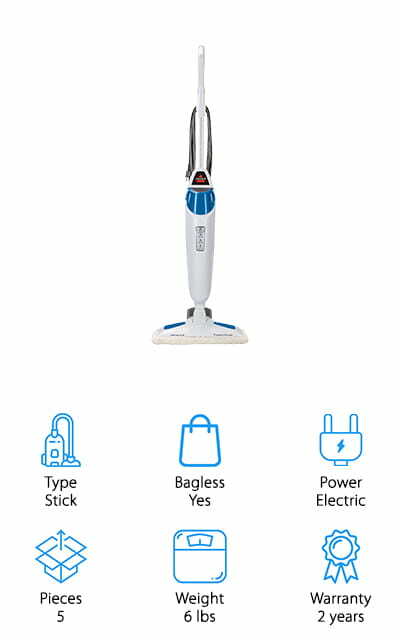 It’s an amazing little steam mop that is good for simple floor cleaning, without the frills or extra features.